I've recently begun a narrative campaign with my brothers and some friends and wanted to aggregate everything together in one place where each of us could update it as the campaign develops and we paint new stuff. 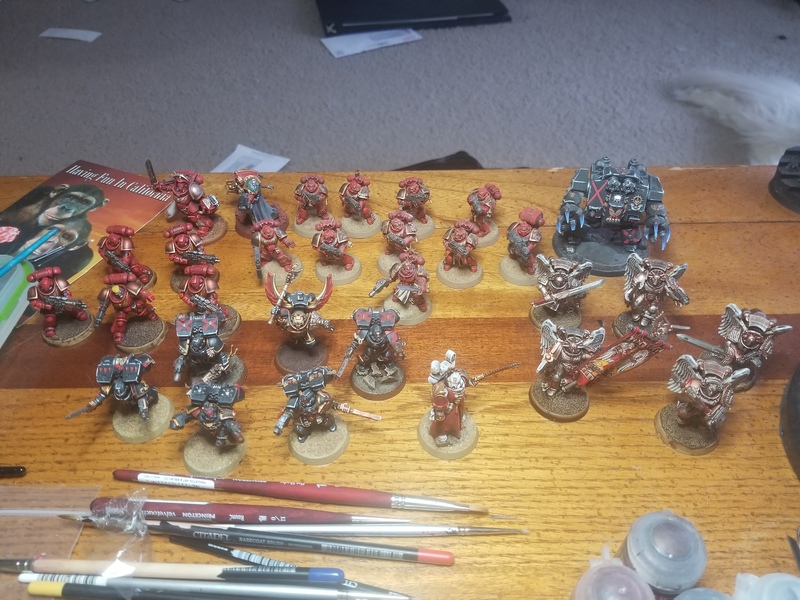 To follow will be an accounting of each of our armies, including lore, painting progress, battle reports as the campaign progresses, and an outline of the narrative. I wanted to compile all the data together to construct a long term campaign we could return to since my brothers and I live in different parts of the United States. So, let this be my accounting. We'll probably see at least one other related thread on the chaos side. 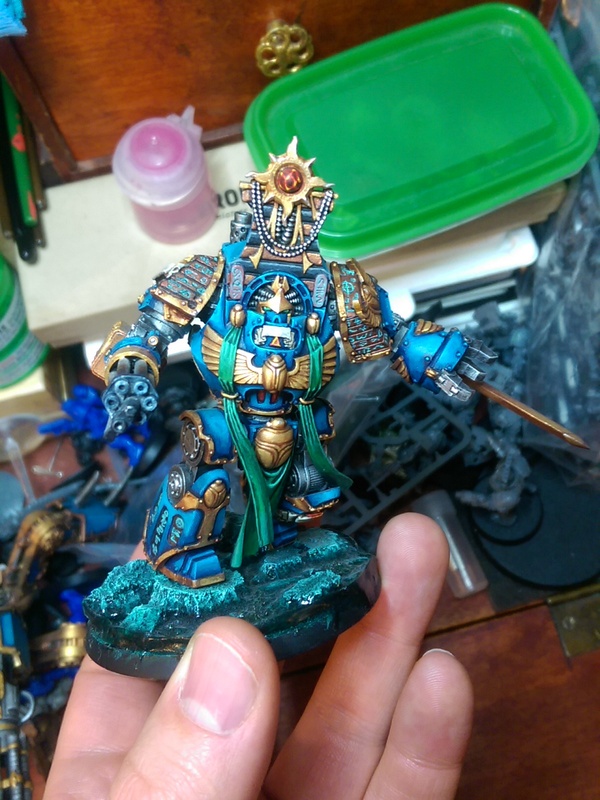 May the Emperor guide you. Battle Cry: Lucem ac tenebras! 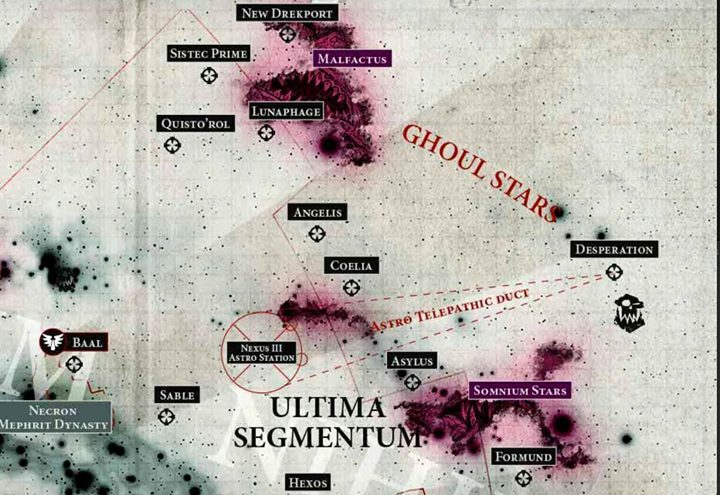 To trailing and rimward of Baal, the Malexis Sector lies roughly halfway between Sable and Quisto'rol, though closer to Angelis than not, just on the fringe of Segmentum Ultima. The sector itself is governed at Malchar Prime by the venerable Lord Governor, Quintus Proximi. 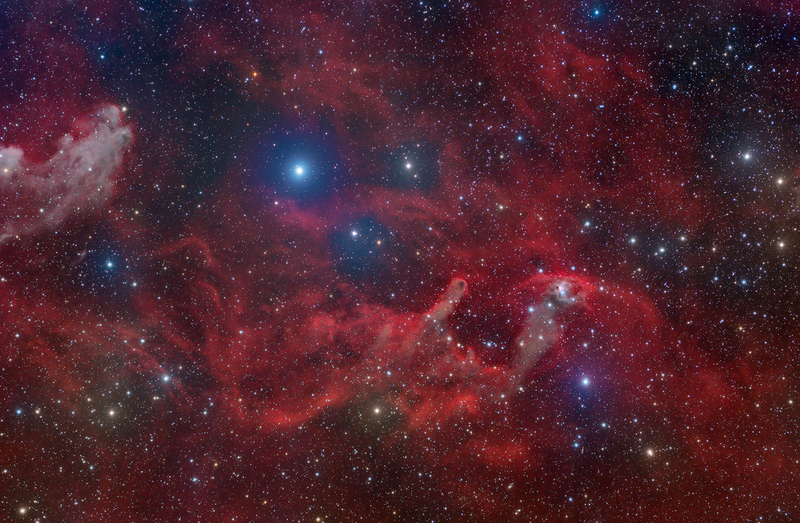 Laying on the border of Ultima Segmentum, the sector is defined by its relationship to the fringes of the galaxy. The cold trade thrives here, and the exploits of Rogue Traders seeking buried secrets and riches beyond the blighted Ghoul Stars fill countless volumes in the Librarium Primus on the sector's capitol planet. Malexis has a proud history as a key supporting province and staging area for the Malcharian Crusade. Dozens of agri-worlds feed the hives across the sector, as well as the fortress worlds of Malchar IV, Oraxis, Thisellia, Rictus, and Sortia. The sector is home to six shrine worlds, four pleasure planets, and several dozen feudal and feral worlds. 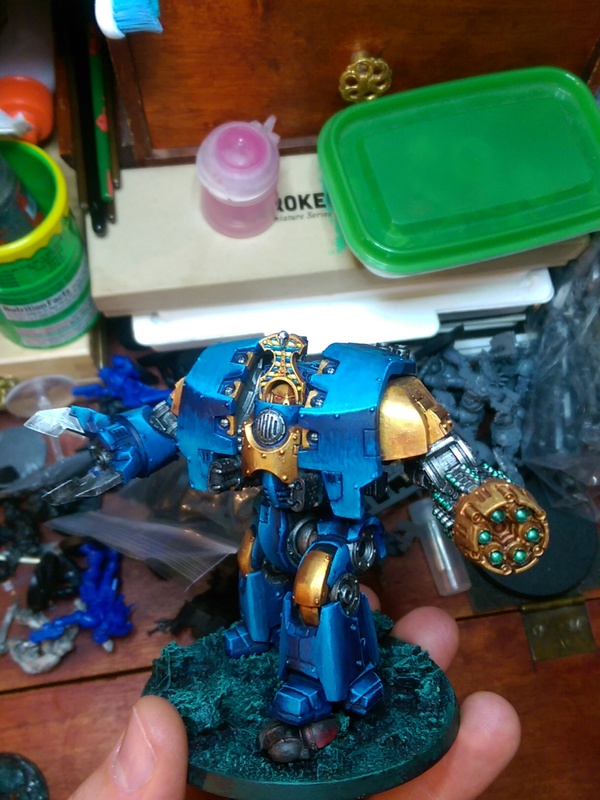 Notable Imperial assets include but are not limited to The Rictus Expeditionary Corps, The Malchar 25th, The Sortian 3rd (Shrieking Griffons), and the venerable knight house Alphyn, leige lords of the Justitian system. 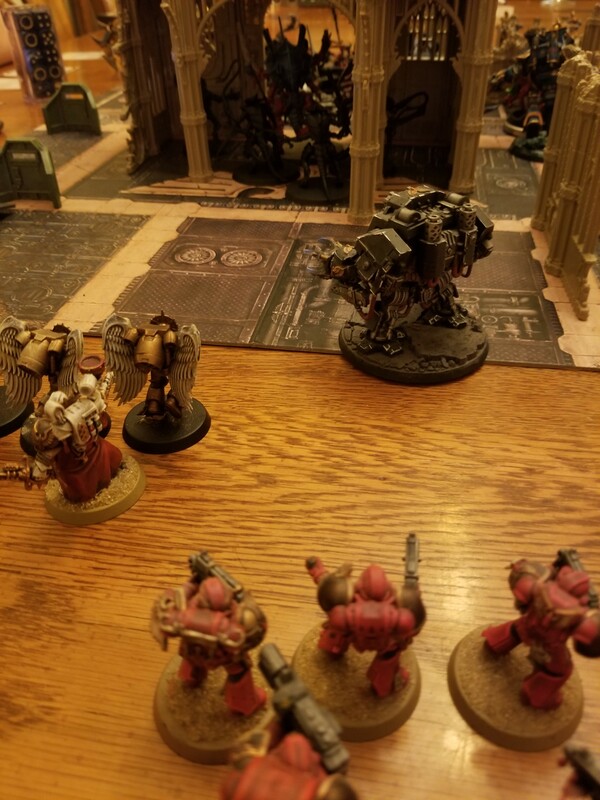 Finally, the Angels Apocryphal, in support of the Death Spectre chapter, bear the holy charge of defending the sector and maintaining the integrity of the Segmentum's borders from the greatest threats beyond the fringe. Drukhari raiding is common, as are the stranger, more sanity breaking threats that encroach from the dreaded Ghoul Stars. The Hive Fleet Jormungand, crushed by elements of the Death Spectres, bled several splinter fleets into the sector before it was defeated. Feral greenskins persist on a number of worlds within the sector, however a large scale incursion remains below the Imperial average. Heretic elements active in the sector include an unnamed Word Bearers detachment led by the Arch Abomination Orbus the Resplendent and most recently, unknown elements of the Thousand Sons led by the arcane heirophant Pho'tek Katar. Gravity locked with its parent star, the death world Iracundia is a subtly brutal place, lacking any forgiveness or mercy. Its atmosphere is surprisingly hospitable to human life. The two sides of the planet, however, represent its terrible extremes. The day side swelters at temperatures in excess of 60 degrees Celsi, depending on the season. Its inhabitants live underground, in vast compounds shielded from the star's unforgiving rays, and mine the precious metals deep below the planet's crust or harvest moisture in multilevel condensation farms and aquifers. No one goes to the night side, where the howls of ancient beasts stalk the shadows of cyclopean ice formations that have stood for millennia. Along the Meridian Primus lay the truly habitable zone. Travel long enough in any direction, and the sun begins to set. In such brutal heat, anyone would count the cooling temperatures a blessing. Eventually, the traveller will reach The Halo Sea. It is an ocean that circles the planet, crowned with an archipelago of fortress hives built atop lush, green forests that stand sentinel across the sea. Here, they guard the innocence of the day from the monstrousness of the night. At polar north stands the crown jewel, the Arx Umbra, a bastion of constant noble vigilance. Not much is known about the night side of the planet. The massive walls of Halo Bastion prevent any incursion beyond the ocean and into the tundra. From orbit, it appears as dark and lifeless as it's said to be on the surface. However, other stories also abound. Stories of what the locals call "Strigus," or the Ravenous, hint at ancient, cannibal hunters or some kind of vengeful spirit haunting the timeless canyons and ancient mountains of the planet. Local sources conflicted wildly, based seemingly on what they had grown up hearing. The case remains open at the Thisellian Enclave but no one seems overinterested in pursuing it because, as we all know, the Angels Apocryphal, while secretive, silent, and strange, are still a loyal chapter with every ounce the honour and nobility of their parent lineage. The people of Iracundia subsist at a largely stunted level of technology. Weaponry is exclusively solid projectile, with no knowledge of las or plasma tech. They rely also on fossil fuels to power their tunnel crawlers and lack the methods of refinement common throughout the Imperium. No means of mass production exist, leading to a staggering variety of mechanical and technological goods. However, all are invariably of low quality. The myriad tunnel clans fight among themselves for access to underground complexes, aquifers, oil wells, and mineral veins when not campaigning against the Rokushaki, a primeval breed of subterranean reptilian xeno also native to the planet. Other indigenous predators include the behemoths called dune dragons, the cyclopean gigapede, blood wyrms, scythe beetles, and shale spiders. Interestingly, scythe beetles can be domesticated and are frequently used as mounts by the more foolhardy clans on the surface. 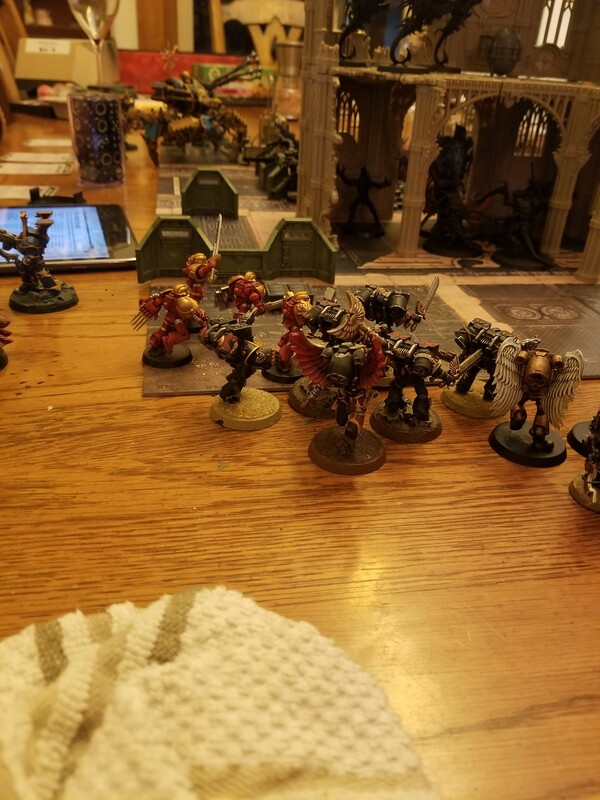 Recent surveys of life also note several strains of feral tyranid following the passing of Hive Fleet Jormungand, though no genestealer strains have been detected. The Halo Bastion, circling the whole of the planet in the green zone, effectively blocking passage from day side to night side, culminates at polar north in the massive fortress monastery of Arx Umbra. The first wall spans the coast of the Halo Sea. Behind it, generations of planetary defence forces have lived, mustered, and died keeping the general population safely ignorant of their place in the greater galaxy. The PDF are overseen by the 10th company's captain as something of a collateral duty. The Angels Apocryphal have several rites that diverge from those of their brothers. First, and most notably, they have vowed never to speak to any lacking their gene seed. It was explained to me not as a matter of worthiness, but one of shame. Something compels the chapter to deny themselves communication with the Imperium at large. A notable exception to this is during wartime, but even then the commanders speak over encrypted vox channels through handpicked chapter serfs and intermediaries. Second, once selected for the reclusiam, potential chaplains must undergo a pilgrimage to the night side of Iracundia where they are expected to brave the killing cold and commune with the spirit of their Primarch. Whether or not they hear anything is unknown to all but those that make the journey. Out there, amid the terribly human howls of whatever beasts lurk the frozen landscape, the chaplains have sought out these arcane mysteries for millennia. Sanguinalia is something of a revelry to them, as it is with other chapters of Sanguinius' line. However, the somberness of the mass before the feast is something to note. The sermon is led by the chapter's Master of Sanctity, every verse punctuated by the slap and tear of bone studded leather against the backs of every marine in attendance. The blood that runs down their ragged backs collects in troughs in the floor and runs to the center of the floor in a pool at the base of the pulpit. At the end of the ceremony, the Master of Sanctity calls for the Vauldii, and every battle brother rises from his knees to drink from the pool. 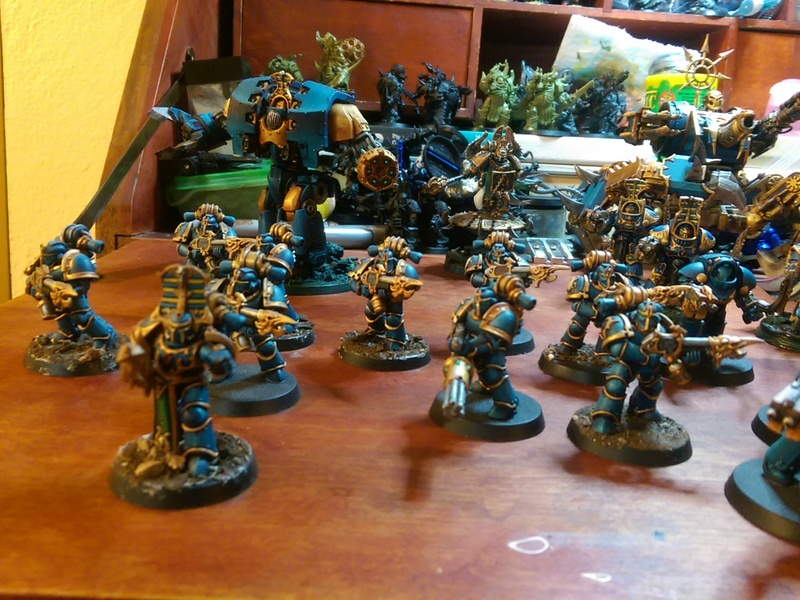 In this way, they reinforce their bonds of brotherhood to each other, the chapter, and the Imperium at large. Finally, the practice of tithing is something intrinsic to the Angels Apocryphal. 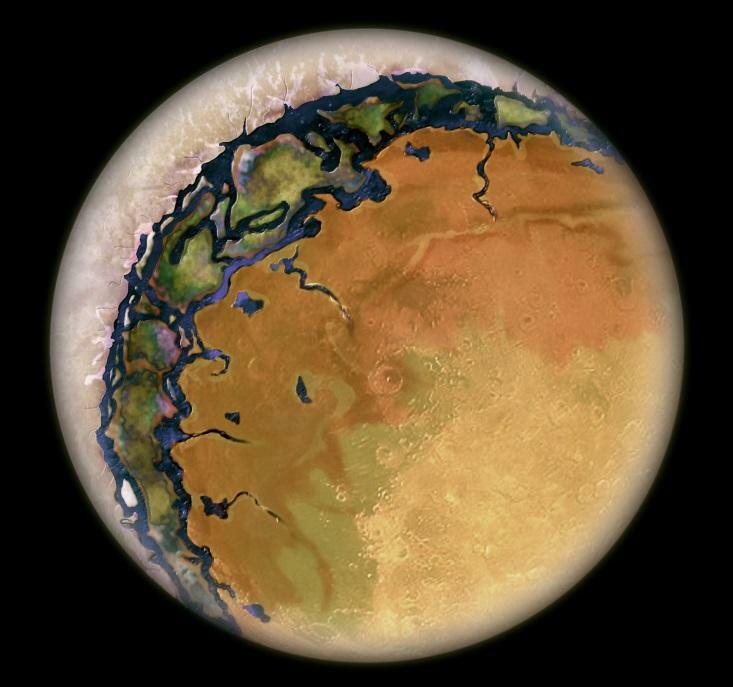 Whenever the chapter saves an Imperial world from a given threat, they extract a tithe of people from the planet's surviving population, presumably to take as thralls back to Iracundia. No one actually knows what happens to these people, and the chapter's leadership certainly wasn't forthcoming with any information regarding them. I'm sure they don't end up as chapter serfs. These are the only rituals we've been able to document. There must be a great deal more, but they are an inclusive and secretive group. Much has been hidden from us, and the chapter's leadership are incredibly vigilant in keeping their secrets. Two companies destroyed on Baal Primus, at the opening of The Rift. The 4th Company, captained by Irad, invaded Golgatha IV after a cult known as the Illumine overthrew the local government. After partnering with a Black Templars crusade following the trail of heresy and death left in the wake of the daemon prince Orbus the Resplendent, Irad waged a five year war upon the cult and the detachment of Word Bearers that appeared during the war's prosecution. 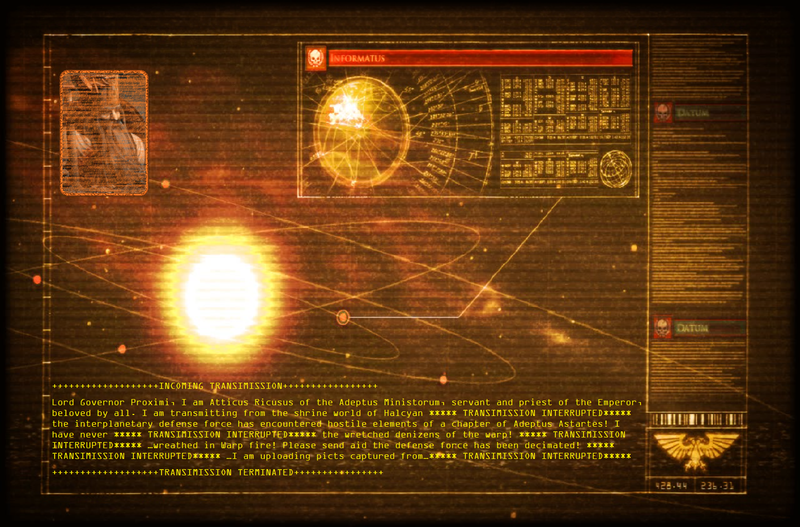 Finally, upon the spires of the governorial palace, Orbus was banished to the warp and a new threat was uncovered. The 6th Company, captained by Vykus, confronted the forces of Uldrethi Skintaker, Archon of the Kabal of the Rent Veil. The foul creature had stripped several feudal and agri-worlds of their populations. In orbit over the skies of Landrian Prime, Vykus cast the alien from the observation deck of his own ship into the cold death in the void. 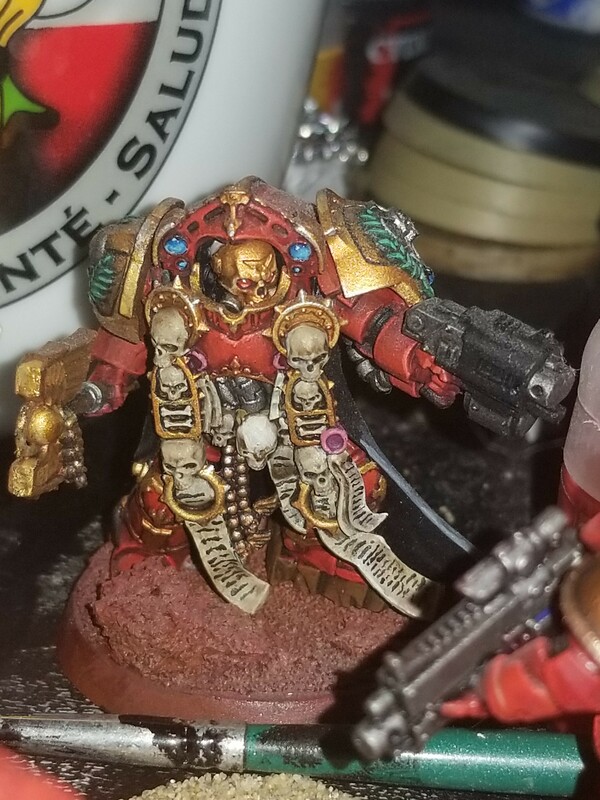 Most recently, while engaged with Tyranid splinter forces in system, Captain Forsus of 5th company discovered strange signals eminating from the planet's surface. 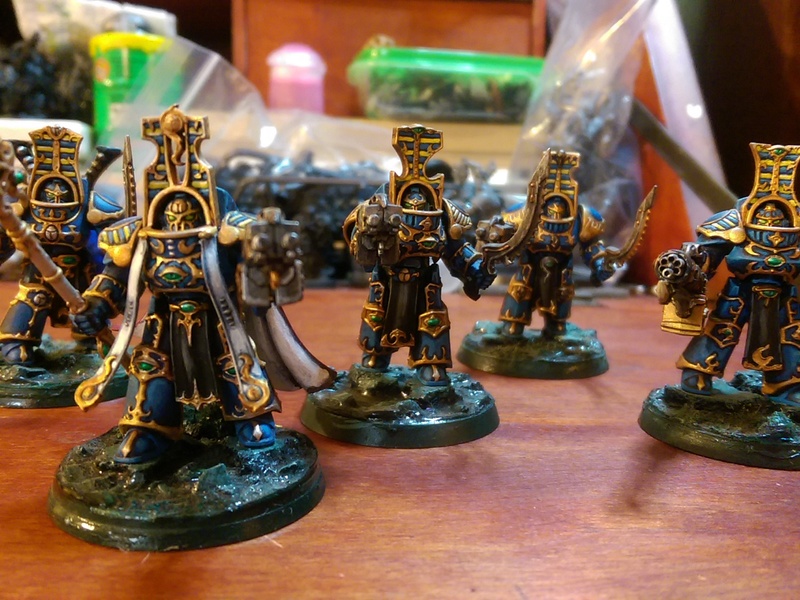 Upon investigation, Forsus and his lieutenants discovered elements of the Thousand Sons led by the sorcerer Pho'tek Katar seeking something within the ruined city. Forsus and his battle brothers fought through wave after wave of Tyranid to reach the site of the incursion. However, upon arriving at the shrine the heretics occupied, Forsus fell to some unknown madness, charging headlong into the enemy line while his men sought to contain his rage. Forsus fell, and the surviving marines were forced from the battlefield. Attached are pict captures of the engagement. 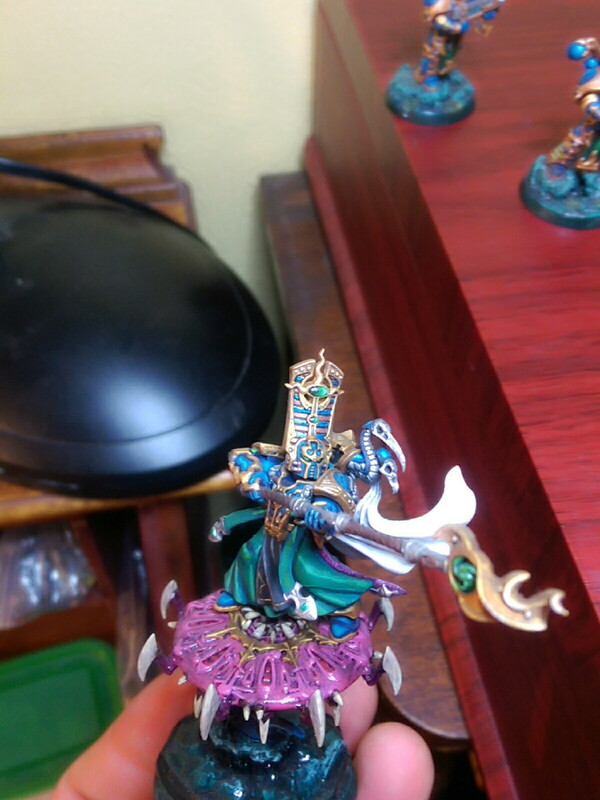 It is presumed by the Holy Ordos that the Angels Apocryphal will be mustering at this point to pursue this Pho'tek Katar, and discover his purpose here in the sector, as well as his connection to Orbus the Resplendent. Feel free to contact me for any further clarification. I hope and pray that this satisfies your inquiry, Lord Amarant. Be well. Next up, painting shots taken over the last year. 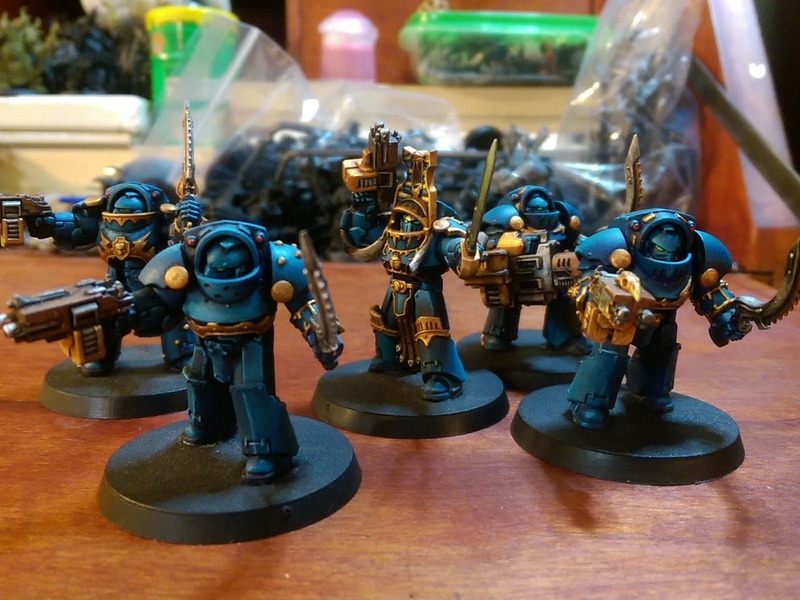 Current project, finishing up those vanguard vets. Hope you guys enjoy this. Look out for Pho'tek's contributions as well. 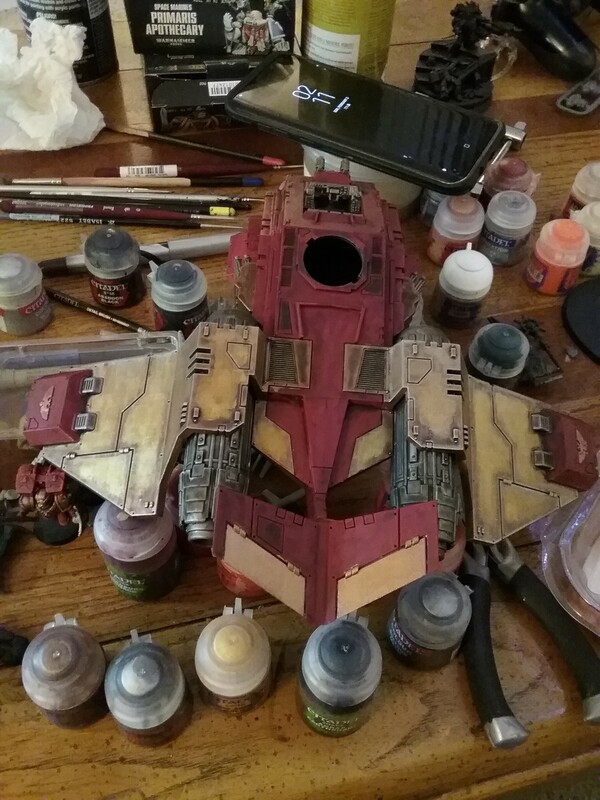 Here's a look at everything I painted this last year. 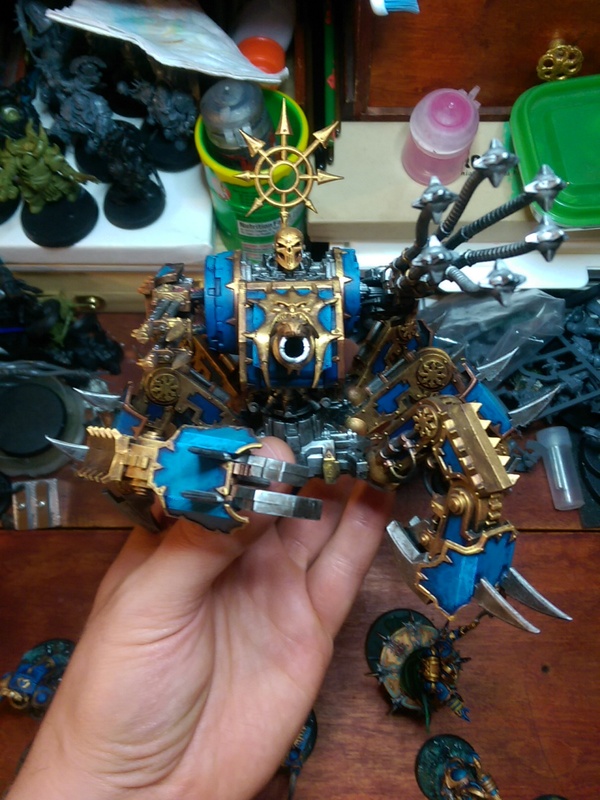 Here are a few photos of painting progress. 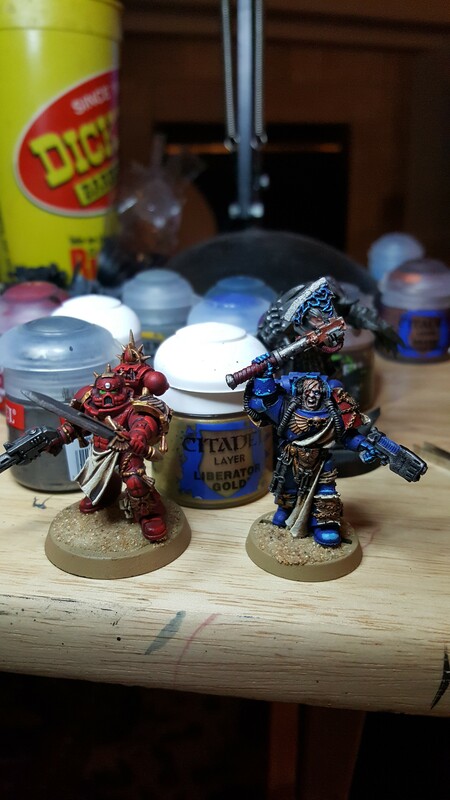 Batch painting some vanguard vets right now. C&C welcome. Up next, an outline of the narrative campaign. This one was actually done by my brother, right before I moved east. Edited by Malphas, 21 January 2019 - 05:42 PM. Your painting skills are commendable. 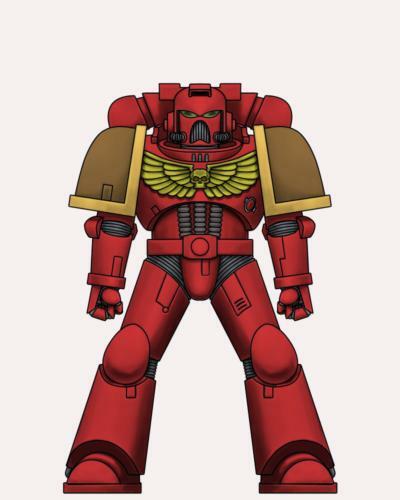 The Sanguinary Guards' armor doesn't look as shiny as I expect, though. 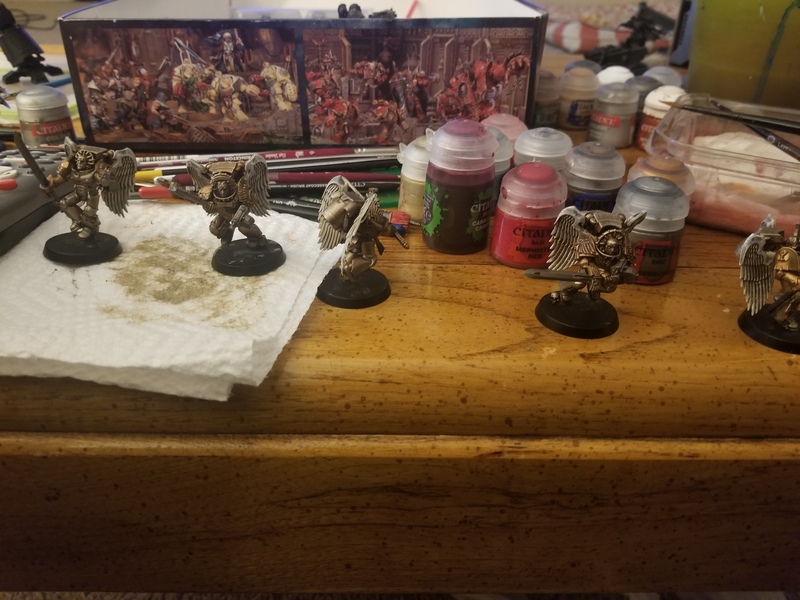 Is it due to the lighting, or do the Angels Apocryphal paint Sanguinary Guards in a different color, e.g., silver instead of a Blood Angels Sanguinary Guard's gold? 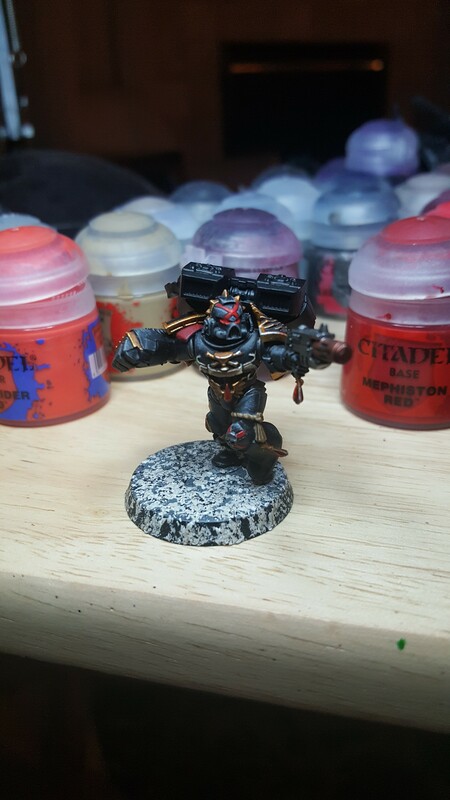 Please pass on my compliments to your brother, re: the AWESOME-looking Terminator Chaplain. Thanks! He'll see your compliments for sure. He's going to be contributing to this thread too. Just wait till you guys see Pho'tek Katar or his Magnus. 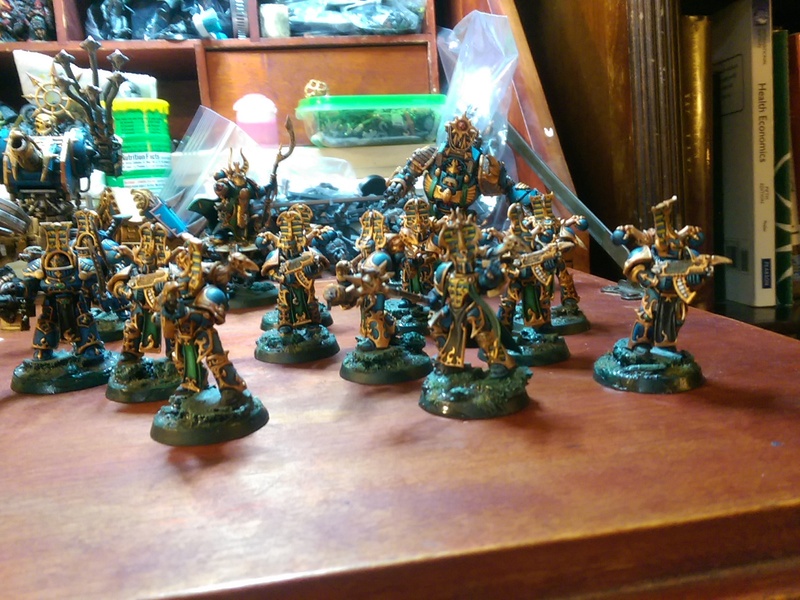 As for the Sanguinary Guard, I was experimenting with Griffin Gold and and under layer of Brass Scorpion. I wanted it to look old and more than a little tarnished. Not sure if it was successful though. Premonitions have brought me to this pitiful far-flung sector of Imperial space. The visions, obscured in the mires of the warp depict a structure of some kind buried deep within the ice on one of these back-water holes. Lord Ahriman has ordered my band to seek out this structure. I can only postulate as to what strings of fate he is pulling in this endeavor but I will play my part for now. Initial projections into the warp have shown me many threads of fate, many of which result in our expulsion from this sector. 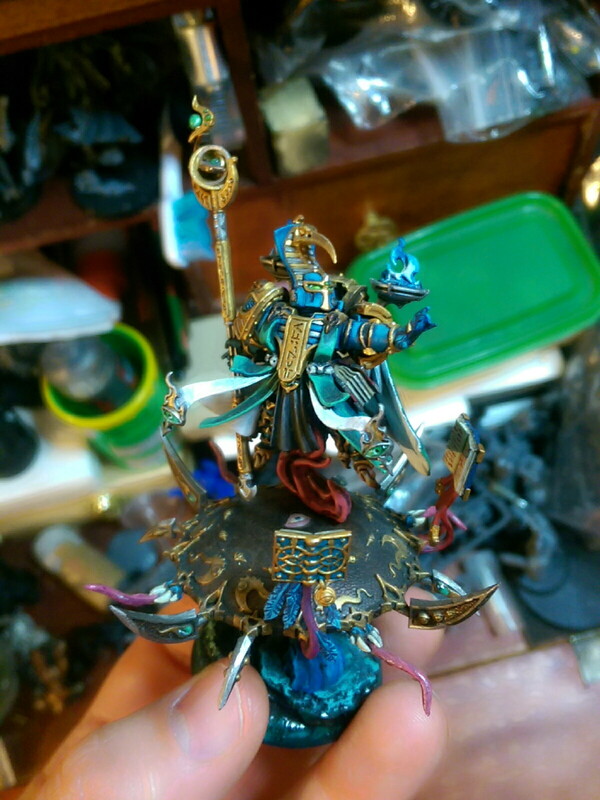 Many more however depict the exaltation of the deplorable beings as they are bathed in the glory of Tzeentch. I have my direction now. I must unveil this artifact, find its true location then have my subordinates complete the ritual simultaneously on nine of the worlds to open the way. I shall begin to unravel fates threads on Halcyan while I send Inaros to the other shrine world where he will influence their foolish worship from the corpse god to the true power of the universe. 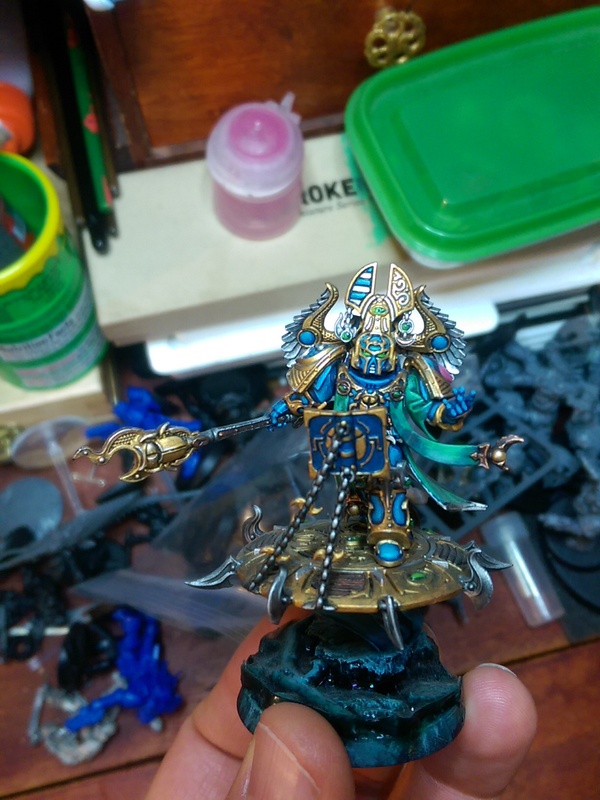 Glory be to Tzeentch! Revenge for Prospero! This sector shall be bathed in his gifts and the fools of the imperium shall know enlightenment before their souls are consumed in the turmoil of the warp! Another favorite of mine I unfortunately ran out of chaos vehicle bits but I plan to add those to him down the road. His arms have been magnetized so that I can change out his weapons! 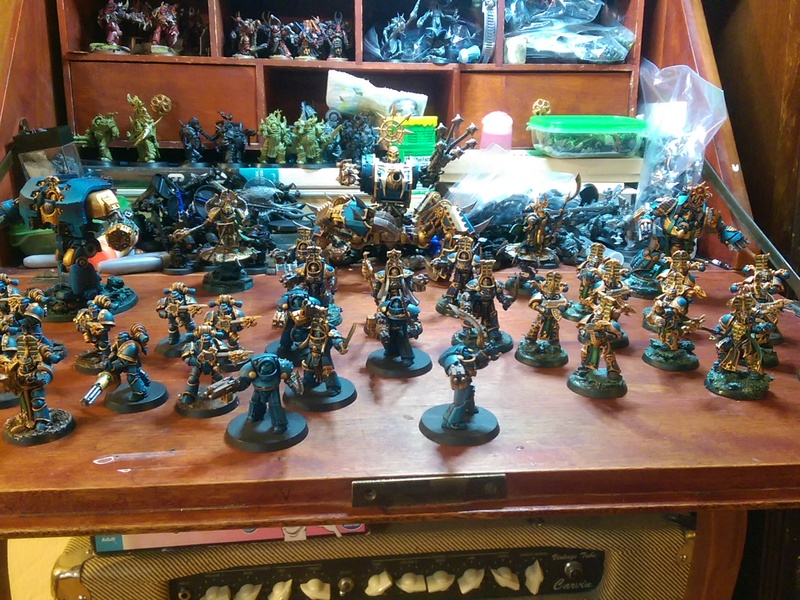 This is a work in progress army so there is much more to come! Death to the false Emperor! Edited by Pho'tek, 01 February 2019 - 01:34 AM. 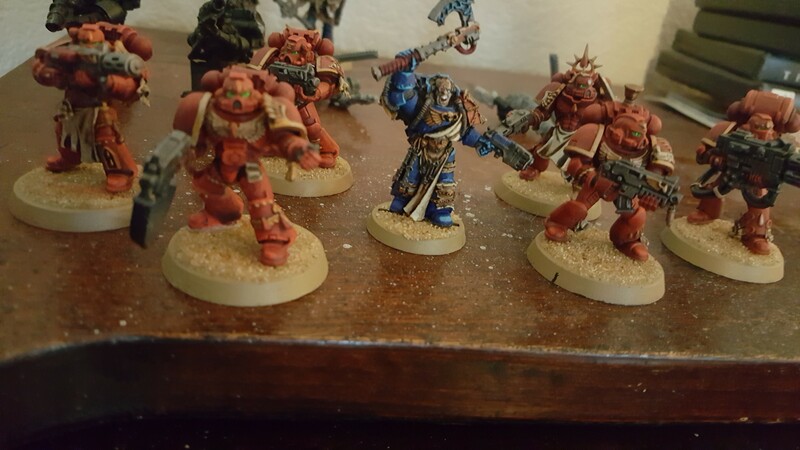 Your Thousand Sons are well done, but why post them in a Blood Angels thread? Are they a mortal enemy the Angels Apocryphal must fight in a coming battle? Or are the Angels Apocryphal like the Blood Ravens, secretly Sons of Magnus? They're the mortal enemies the Angels don't yet know they have. 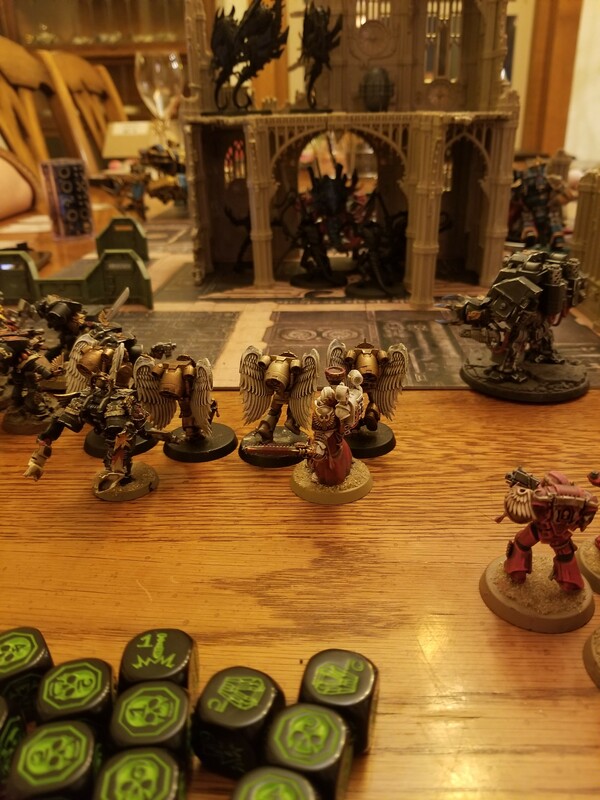 The idea is to build a narrative campaign with three primary factions: my Blood Angels, Pho'tek's Thousand Sons, and our youngest brother's Tyranids. The idea is still developing, and I wanted to leave enough room for other players in our respective areas to join in. Pho'Tek is actually teaching some of his co-workers to play, and there are two hobby stores in my immediate area I can go to for games. So, my tentative plan currently is to outline specific major engagements and chart victory results in a sort of radial quest format. Depending on who won a specific battle, new battles would be available to play, while others would be locked out, resulting in a tug of war across this sector between the three of us. Pick up games in our respective areas would be there for flavor and additional side story. They're the mortal enemies the Angels don't yet know they have. 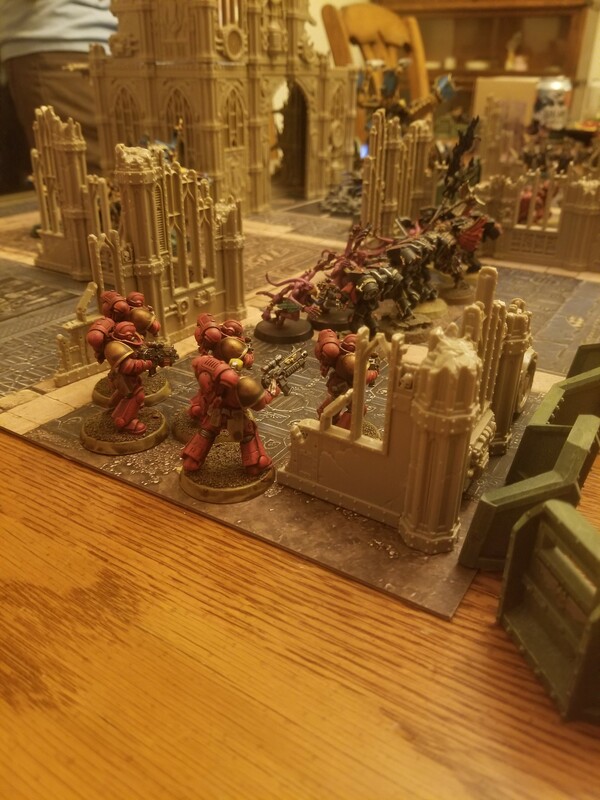 The idea is to build a narrative campaign with three primary factions: my Blood Angels, Pho'tek's Thousand Sons, and our youngest brother's Tyranids. I'd love to know the Tyranids' role in the Thousand Sons' plot. 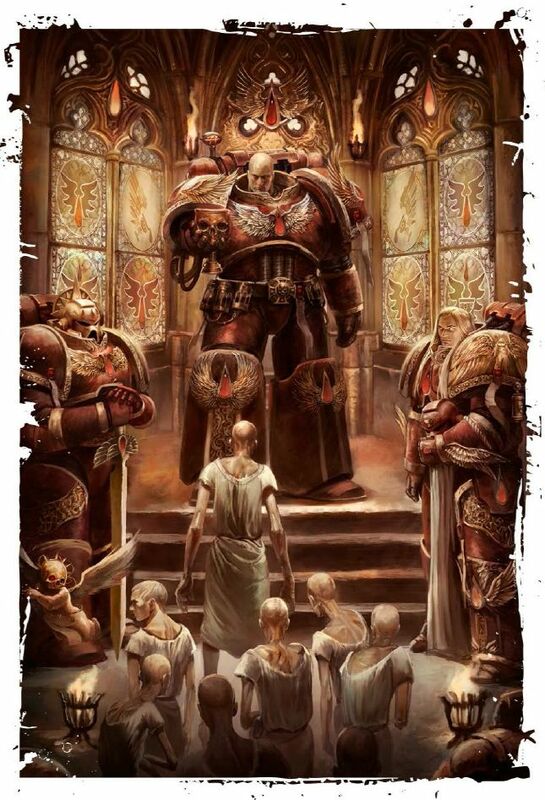 Will they be distractions the sorcerers will use to draw the Blood Angels' attention, allowing the Thousand Sons to reach their now unguarded goal? Direct pawns, i.e., the sorcerers have a way to usurp the Hive Mind's command and directly control the Tyranids? Goals themselves, e.g., the Thousand Sons believe Tyranid genes hold the secret to curing the "flesh changes" that plague those with their gene-seed, allowing the sorcerers to create Thousand Sons Marines, instead of being forced to choose between Chaos sorcerers (potential rivals for Tzeentch's favor) and Rubric Marines (mindless drones requiring the sorcerers' direct supervision to be effective, drawing attention from potentially more important matters)? Edited by Bjorn Firewalker, 14 February 2019 - 09:04 PM. Whoa Bjorn. I had initially thought of them as a splinter from the Devastation of Baal, but those are all fantastic ideas. We have to work with our youngest brother to see how he wants to engage the narrative. Last time I was in town, we were more focused on helping him paint. 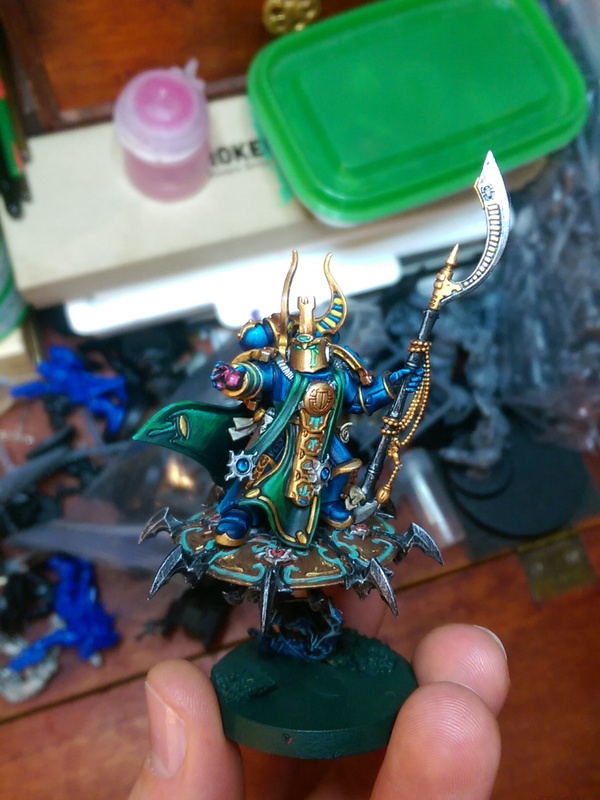 Speaking of which, here's my latest WIP. Veery nice dirty bird! When you add some stronger highlights it will look fantastic. Don't be afraid to bring those on the bone-colored plates to almost pure white in chosen places. What color will you choose for highliting red panels? Edited by Majkhel, 03 February 2019 - 10:13 AM.